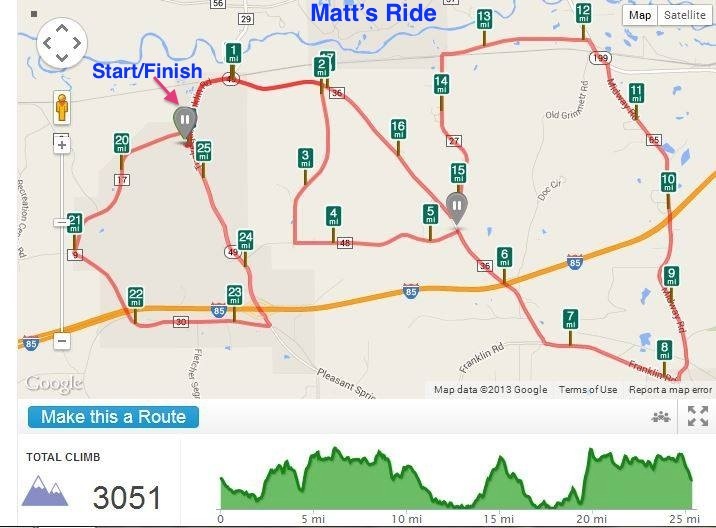 Matt's Ride is a loop on quiet, local roads in Macon County. Mostly rolling with a couple of hills to get yer thrills. The main route is 19 miles long. And an optional six miles at the end. The start/finish is off of I-85, Exit 32 on AL Hwy. 49. Here is a map of the riding route.